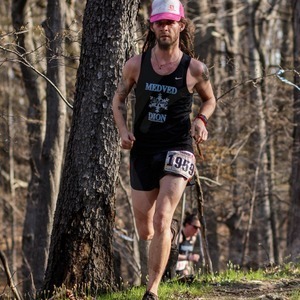 Between mouthfuls of oatmeal, Mike Welden recounts his long, tortuous path to the Laurel Highlands 70 mile race this past June. From a high-octane skiing accident in Canada to breaking into the track at a maximum-security all-girl’s school, Mike’s penchant for the unconventional and utterly ridiculous makes for a gripping story. It’s not all jokes, though. Throughout the episode, Mike also shares his experience with a new coach, reworking his racing mentality, and a raw, honest look at the ultrarunning experience. Mike Welden. Laurel. 2017. Read This. This episode was made possible by the support of dedicated listeners and Patrons.